Update: “Global distribution” confirmed for this figure, it will not be a limited Legacy Collection release. Ladies and Gentlemen, we give you the Indominus Rex. Collect Jurassic was recently contacted about a photo purportedly showing Mattel’s long-rumored “Destroy ‘n Devour” Indominus figure, and we’ve confirmed that what’s shown in the image is indeed an authentic toy that will hopefully be coming our way sometime in 2019! 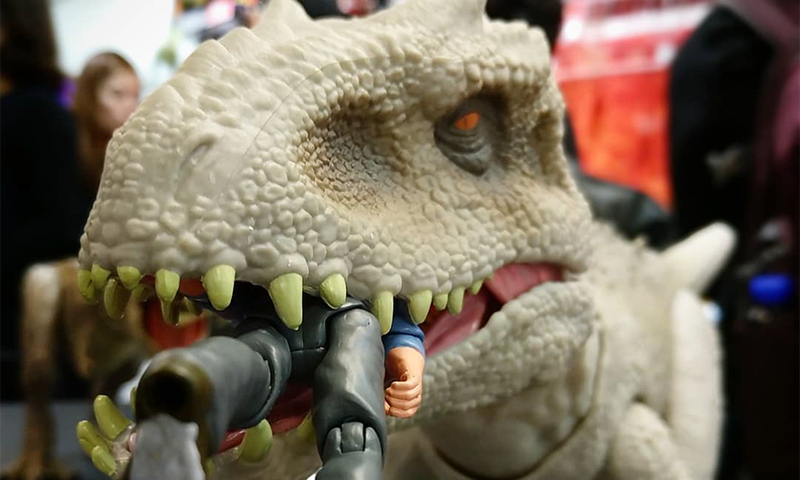 Our sources tell us the image originated from the Hong Kong Toy & Game Fair that took place last week. 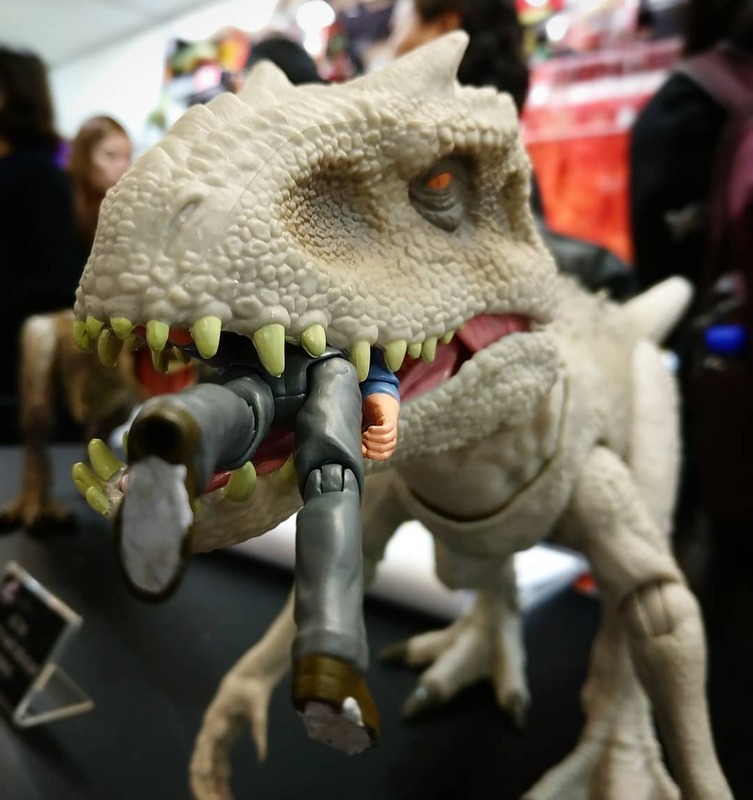 Glimpses of other Mattel Jurassic toys can be seen in the photo, including the Bite ‘N Fight Rex and of course an Alan Grant figure in mid-digestion. Notably, the Grant figure is from the yet-to-be-released Legacy Collection Story Packs. The Indominus Rex herself was identified as a prototype piece, with the final figure set to be even more impressive. Even though this is just an early look at the figure, we’re already totally blown away by the film-accurate design and sculpt detail on the Indominus. There looks to be additional arm articulation as well, and there is rumored to be a swallowing mechanism in the figure with a lighting effect that shows the unlucky victum mid-swallow! We can’t wait to see what else Mattel has in store for the Jurassic toyline, with more sure to be revealed at the New York Toy Fair next month. Click on the image below for better look at the original image submitted to Collect Jurassic, and don’t forger to follow us on Instagram, Twitter and Facebook for the latest breaking collecting news! Thanks for the tip Matthew R! This figure is amazing! I love the articulation in her arm. Better than the Spinosaurus from legacy collection.